Piero Bartolo, the extraordinary doctor who fought to give Lampedusa permanent air medical services, has personally treated thousands of migrants and continues to do so. He is often the last person to take care of the bodies of the drowned. 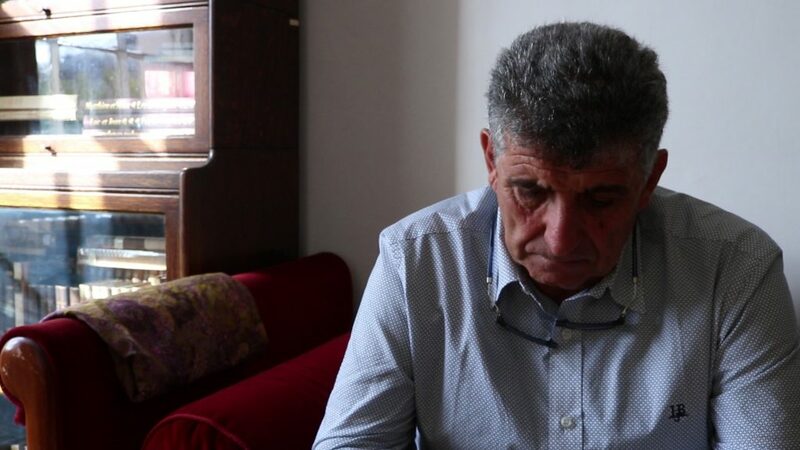 His book, Lacrime di sale, has finally been published in English, and while the Mediterranean continues to mourn new victims, Emanuela Barbiroglio met him in London together with the co-author of the book, Lidia Tilotta. “The best of my stories happened on the worst day of my life. “On October 3, [2013, the day of the migrant shipwreck tragedy] my friend Domenico came back to harbour with his fishing boat. He had rescued 17 young migrants and retrieved four dead bodies. Domenico was the captain, he’s a great friend of mine and we even worked together when I was a fisherman. 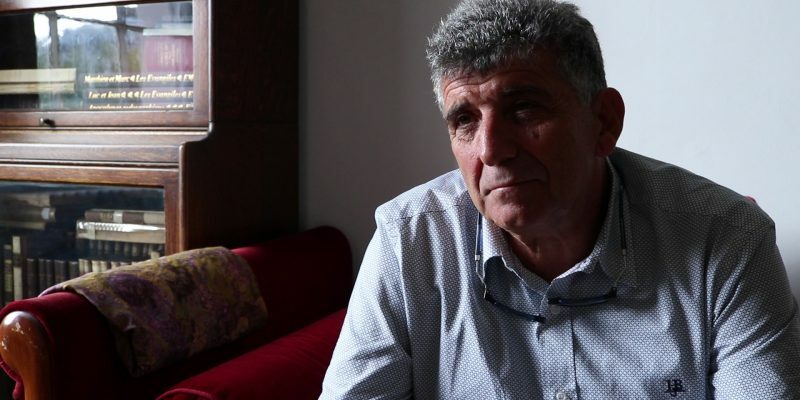 I survived a shipwreck, too, I know what it means to be lost in the middle of the sea,” Pietro Bartolo says. “Domenico was crying. I climbed aboard. Someone was sick. We immediately brought them to the first-aid unit, and then I took care of the dead. Domenico had refused to leave them at sea. He was frightened. He was sorry. He kept saying ‘Pietro, I couldn’t take any more, I lost all my strength.’ The bodies slipped from his hands [while he tried to haul them in] because they were wet with fuel; he saw them sink. Domenico didn’t sail for a year. All of us went through therapy. 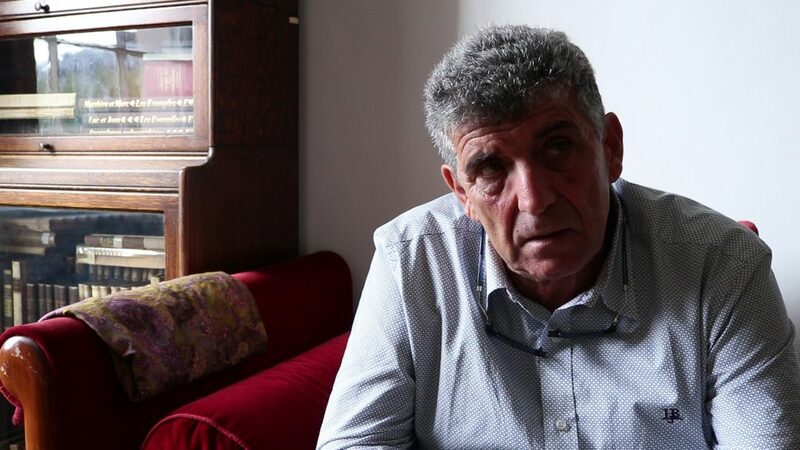 Pietro Bartolo is a doctor in Lampedusa – which is where he provides medical assistance to those migrants who cross the sea and reach the island – and this is one of his finest memories, one he never gets tired of recalling. He came to be known thanks to Gianfranco Rosi’s documentary film Fire at Sea, and he decided to put his experiences down in writing thanks to the determination of the journalist Lidia Tilotta. His book, Lacrime di sale, was published in 2016 and has just been translated into English with the title Lampedusa: Gateway to Europe. On October 21 the authors talked about it at the Festival of Italian Literature in London. It is a rainy Saturday morning in London. I meet Lidia Tilotta and Pietro Bartolo at the Italian Cultural Institute in Belgrave Square following an event on the book they wrote together. The doctor, a pair of glasses tied around his neck, is wringing his hands. His tanned face makes me think of a walnut where a smile rarely appears. But when he talks about his island, his voice is calm and has the persuasive tone of someone who has learned how to speak to an audience. I want to know why he chose to become a doctor. I ask him how and when people realised migrants were arriving on Lampedusa. “When the first boat arrived in 1991, this was new to us,” Bartolo remembers. “We’d never seen anything like it. The first migrant boat was really something…There were three black boys on board, they’d sailed in a small vessel and found shelter in a hotel that was under construction. When the construction workers spotted them sleeping on the floor the next morning, they mistook them for ‘Turkish men’. More and more people disembarked from the following boats – 10, 20, 30 migrants – until the flow grew larger and steadier, and the first reception centre was built, and then the second one. Bartolo is the first one to go on board; he has to make sure that no potentially infectious disease will reach Italian or European territory. 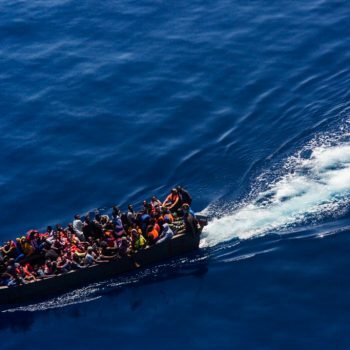 In the meantime, no one can leave the vessel, not even the crew of the navy ship which is transporting the migrants. In all these years, he emphasises, he has never found a single infectious disease. I ask him what kind of treatments those that are rescued usually need. “The most common conditions,” he says, “are dehydration, hypothermia, and contusions suffered during the journey.” But there are also gunshot wounds and cuts they received in their homeland, which is not to mention the psychological traumas for which no immediate relief can be provided. Bartolo says he has observed a new kind of injury lately, one he calls “rubber dinghy injury”: burns to the gluteal and genital area caused by fuel leakages and that mainly affect women as they are usually seated in the central part of the dinghy surrounded by men and arrive in critical condition. When after such a stressful journey a pregnant woman goes into labour, she cannot be assisted properly for there is no delivery room in Lampedusa. Nevertheless, as Bartolo explains, helping a woman give birth can be a wonderful experience. The idea for the book arose in 2014 when Lidia Tilotta was in Lampedusa for the anniversary of the tragic shipwreck of October 3, 2013. She mentioned that she wanted to write a book describing “history through stories”. At the time, there was an exhibition of the photos that had been taken on the day of the shipwreck at the island’s healthcare centre. On that occasion Bartolo dwelt upon the images, talking about what he had felt and seen one year before. He and Lidia started cooperating only two years later, around the time the film Fire at Sea was released. I ask Lidia Tilotta what can be done to create a better narrative on migration. According to the press the word “Mediterranean” has now become a synonym for graveyard. But has anything changed for the islanders of Lampedusa? “The sea is everything to us, it is still a source of life. We’re fishermen, we don’t leave anyone behind at sea. I became a doctor thanks to the sea. Over the last number of years, those waters have meant death for thousands of people, women, and children. This is shameful and unacceptable. Migrant boats continue to arrive and nobody talks about them, people could even be dying right now. Cover photo: Pietro Bartolo at the Italian Cultural Institute in London, October 2017 (photo by Emanuela Barbiroglio, like all the photos in this article).